I first got into hemp when I was pregnant and looking to add more, and more varied, sources of protein to my diet. I was skeptical at first (I mean I’m crunchy, but c’mon! ), but I had to admit that the nutrient profile of this little plant was impressive. So with caution and curiosity I waded into the world of hemp . . . and found that the more I tasted, the more I wanted! And the more I learned, the more I loved! Until very soon I was a convert into the cult of Cannabis. Now I’m an evangelical hemp hound. I don’t want to reinforce a protein myth, but it’s important to note that hemp foods are considered a ‘complete’ protein. Less common in plants than in animal products, ‘complete’ protein sources are those that include all 8 essential amino acids. Amino acids are, of course, the building blocks of proteins, and our body can make all but 8 of them. These 8 must be secured dietarily. So hemp is a complete protein which makes things easy, especially when you’re pregnant, breastfeeding, or an athlete. But hemp is also a source of essential fatty acids, particularly the elusive omega-3s. Also rare in the herbivorous world, these important fats must be sourced externally. My article on EFAs provides a much more thorough discussion, but suffice it to say that EFAs are key components of healthy eating, and hemp’s got ‘em! In addition to these fundamental-yet-hard-to-find macronutrients, hemp also boasts a beautiful spread of major micronutrients. Whole hemp seeds provide many minerals, such as calcium, copper, iron, magnesium, manganeses, phosphorous, and zinc. They also include vitamins B1, B2, and E, and the tocopheral suite of antioxidants. And bonus: hemp is naturally gluten-free! But hemp isn’t just healthy – it’s also a bit of a wondercrop. It grows in a wide range of soils and climates. It thrives in close quarters, which maximizes spacial efficiency. This also means that herbicides are rarely used (no room for weeds to take root), and pesticides are uncommon because of the plant’s natural defenses. 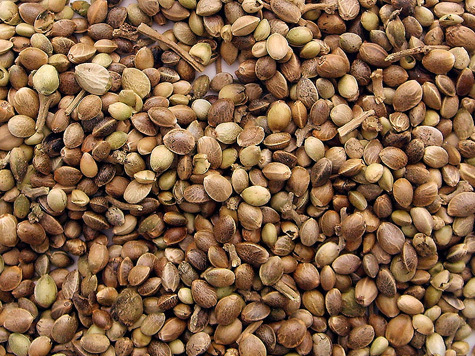 Acre for acre, hemp can yield up to four times the usable fibers of a forest. Hemp can also effectively replace cotton, a crop which accounts for up to 50% of the pesticide use worlwide. And the fiber structure makes processing a lot less energy and chemical intensive. Basically, it’s an environmentalist’s dream. So now that I’ve extolled the virtues of hemp, I bet you’re wondering how the heck you eat it! Luckily, you have a lot of options. First there’s plain ol’ hemp hearts, which is a fancy way of saying hulled hemp seeds. These are the ‘whole food’, comprised of 35% protein, 47% healthy fats, and only 12% carbohydrates. Hemp hearts are soft and a bit chewy, with an almost sweet, almost nutty flavor. Personally I put them in just about everything: served over salads, dropped into dips, sprinkled on soups, blended into smoothies, stirred into nut butters or thrown into nut butter & jelly sammiches – and on and on. These are very versatile items, though to be truthful, I’ve been known to snack on them by the straight spoonful! 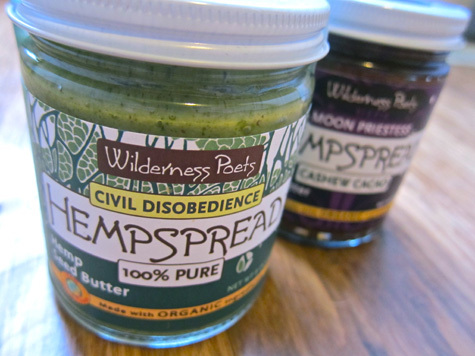 Hemp butter by Wilderness Poets. They’re awesome, you should check them out! 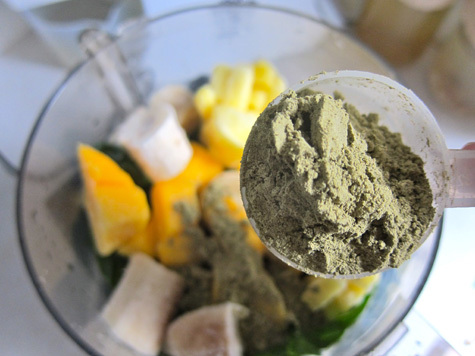 Combine all ingredients in the food processor and blend until smooth. Eat! So my dears, have I piqued your palates? Any hemp experiments in your futures? I haven’t noticed hemp available anywhere here in the UK in edible form, although I must admit I haven’t really been looking. I’ll definitely keep an eye out now! When looking for hemp to grow in the garden what should one search for as, being part of the cannabis family, I imagine it could get troublesome! I’ve always been a bit wary about eating hemp because I didn’t know much about it (aside from it’s awesome ability to be made into so many non-edible things) and how it tastes. But now you’ve inspired me to add some form of it to my diet. Thanks! Oh my! I am in food HEAVEN right now with your post on hemp and the pumpkin recipes. I had a pumpkin smoothie today and it was sooo good! My little man loved it too. I would love to try the hemp spread. 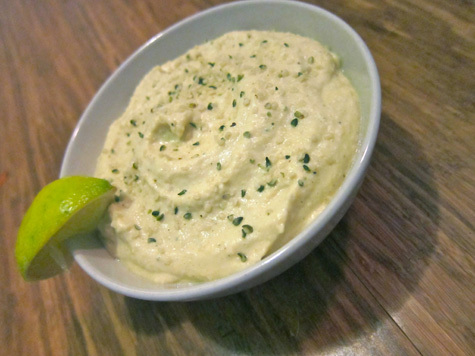 And your hummus recipe looks like a winner. I am moving to eating more raw every day and these recipes really help. Thank you! Ooooh, I absolutely have to search out hemp & add it to my diet! Thanks for the info! i don’t knowif they sell hemp here but it might be interesting i knowyou can get hemp string and lotion but other thanthat im not sure… of course if i do find it and getto make something i can tell everyone that they ate cannabis that would be hilarious! I’ve dabbled (daPPled??) in hemp milk and other hemp products and I am definitely a fan! Whilst at VegFest, I picked up hemp seed butter (LOVE! Lots of Omegas!!) and some shelled hemp seeds from Manitoba Harvest. Great company and people! I HEART HEMP!!! Hooray for Hemp!!! Hemp for Victory!!! HOORAY!!! ~8 )> Ohmygosh, this plant is seriously God’s gift to all, for everything!!! Like you, I was looking for alternative proteins to add to my diet whilst pregnant, and was super thrilled to discover that one of our health food stores carried an assortment of hemp products, ie protein/fiber powder, seeds, milk, etc. Green smoothie with hemp every morning, man, that’s the secret to LIFE, man!!! 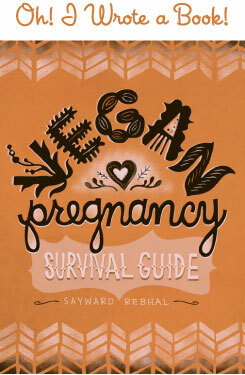 ; )> Lovin’ you more and more, Sayward…! Rock it! My husband has random drug tests for work and was wondering if eating hemp would cause him to fail them. Has anyone tried to sprout hemp seeds? It would seem to me that working with the unsprouted seed would be negative ezymatically speaking. I am just assuming that until the seed is sprouted it is enzyme dormant and those vital aminos shouldn’t be available to us during digestion. He won’t fail his drug test, the hemp we can eat (the legal kind) doesn’t have tCh in it. So you are all good! and a little more info on it, as long as it doesn’t flower it is not considered mature aka good for smoking. hemp cannot be grown in the US though so all hemp products are imported and meet a zero tolerance policy. no tHC whatsoever. @ Squiggle – Hmm, I have no idea about what to look for as far as growing it at home! It’s totally illegal here in the US – all our hemp products are imported from Canada. But I know the for-food-and-fiber plants are a totally different species than the for-fun plants, so I think they do look different as well. Are you sure that it’s even legal to grow in the UK? @ Melissa L. – Yay, glad you had an awesome pumpkin smoothie! @ Kathryn – Haha, AWESOME, I wonder what they thought of that! @ Britt – “Green smoothie with hemp every morning, man, that’s the secret to LIFE, man!!! ” = YESSSSS!!! @ Meghan – Hmm, a little research and I’m getting mixed answers, but this has me leaning towards maybe not risking it? @ Shango – Good point! I buy the seeds hulled so I don’t think they’ll sprout, but I’ll certainly try it. It should be noted, though, that they don’t contain any phytic acid so there’s no need to sprout them from concerns over antinutrients. @ MathTutor – Do you have a definitive source for your info? It seems to me that you’re right – it would have to be! – but I can’t find a clear answer. 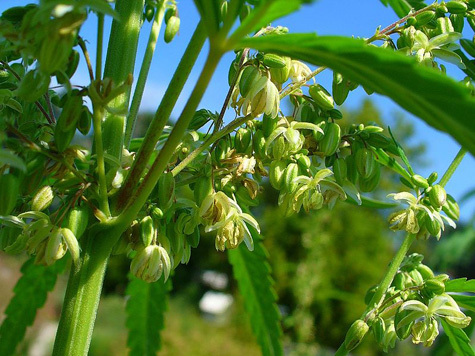 Hemp is a cousin to cannabis. They look pretty much alike. Unlike medicinal cannabis, hemp has no THC. No slam to Manitoba Harvest, but I really love Living Harvest’s hemp oil. It is so delicious, I could drink it out of the bottle! DragonTat2: Thank you for plugging them as well! They’re wonderful…and even more local to those of us in the NW. Yummy ice cream! (homemade pita chips & baba ganoush). question tho- is there complete protein found in hemp oil as well? i know nutritional yeast flakes are also a c.p. do you know of any other foods that are complete proteins? thanks for introducing me to something great! @ sara thomas – Sorry for this late response, yeesh. Anyways, there’s no protein in the hemp oil, it’s just pure 100% oil. But there are lots of plant foods that are complete proteins! Oats, buckwheat, quinoa, soy, spirulina, chlorella, chia . . . I know there’s more I’m forgetting. no worries! you are tres busy lady =) i took some time to look up a few & nutritional yeast & amaranth were there. i had read oats weren’t quite complete, like 3% shy of being a CP is what i ready anyway. thanks so much for all of your wonderful information. it has really made such a difference in my and my family’s life! Unfortunately hemp seeds are not widely available here in Australia. I think Australia is one of the only countries where it’s legal to sell hemp seeds for “animal consumption only”!! I know, pretty backwards, hey. Lets hope Australia will enter the 21st century sometime soon.